Today Morning Depart to Railway Station to Connect Your Train to Ajmer. On Arrival At Ajmer Train Station We Will Drive to Pushkar. Pushkar is Famous for Only Lord Brahma Temple in the World. According to Hinduism, Lord Brahma is Believed as Creator of the World. On Arrival At Pushkar, Check Into Your Hotel. 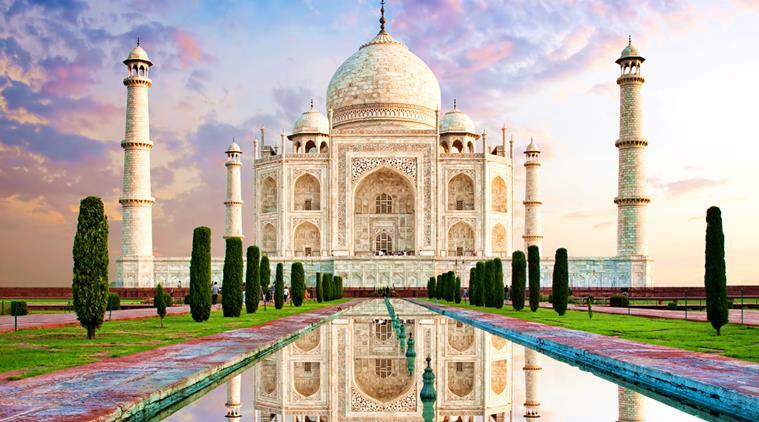 After Freshen Up, Visit the Brahma Temple and Pushkar Lake. continue Our Drive to Jaipur, Capital of Royal State Rajasthan. On Arrival Check Into the Hotel. Evening, Get Ready to Enjoy the Dinner Followed By the Cultural Dance Performance and Puppet Show. You May also Visit to the Chokhi Dhani, Which is An Artificial Village Introduced By the Rajasthan Government. Here You Will See the Magicians, Snake Charmers; You Can Enjoy Elephant or Camel Ride (on Direct Payment Basis). Overnight At Jaipur. Today We Will Leave Early from the Hotel, to Enjoy the Full Day Sightseeing of Jaipur. 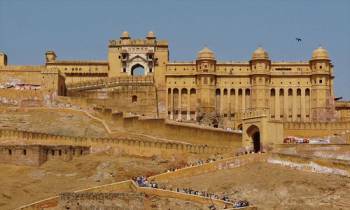 Drive to the Amber Fort Situated 11 Kilometres from Jaipur. this Fort is Built of Red Sand Stone and White Marble. Here We Will Ride An Elephant Which Will Take Us to the Entry Gate of Fort. Enjoy the Ride, as You are the Royal Maharaja / Maharani of the Palace. 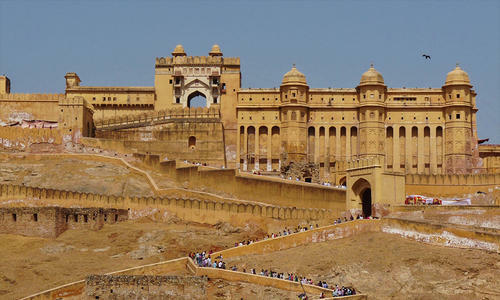 After Exploring the Amber Fort, We Will Drive Towards the City Area Where We Will Visit Rest of the Monuments such as Wind Palace - Famous for Its Stunning Architecture. City Palace and Observatory, Where the Artifacts, Weapons are Kept of the Maharajas and Rajput Rulers. Evening Spend the Time At Colorful Bapu Bazaar, Where You Can Enjoy the Local Food of Jaipur, and Achieve Your Shopping Needs. After Breakfast, Explore the Local Malls and Bazaars of Pink City. Later in Time Transfer to the Railway Station to Connect Your Onward Train.